Keeping in mind the multitude of contracts Lynn holds, many consider the Adidas deal as the most notable in recent history. The agreement, signed in late 2016, ensures the brand as the official footwear for all Fighting Knight athletes. Featuring a 50% discount for all student athletes and a variety of other perks, the contract has slowly grown on the various Division II programs on campus. From the new sneakers to stylish jackets, the deal with Adidas has allowed Lynn athletes to show school spirit in some of the best ways possible. In fact, some even describe the apparel opportunities from the international retailer as jaw-dropping. 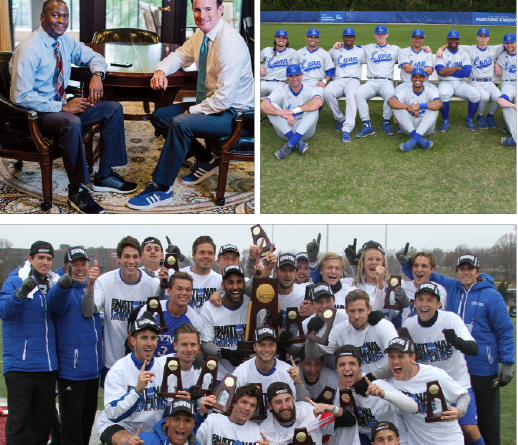 Already home to 24 national championships, Lynn is reaching new heights with Adidas by their side through 2020. While the university’s athletic faculty and staff often go above and beyond for their student athletes, Adidas plays an equally vital role as well. “Adidas is truly a global sports brand and, like Lynn, focuses on shaping the future through innovation,” said Devin Crosby, athletic director. Adidas’ ultimate goal is to ensure the Fighting Knights have something for which to fight during every competition. By pouring an immense effort into the gear, Adidas seems to be providing attire in which all student athletes can take tremendous pride.